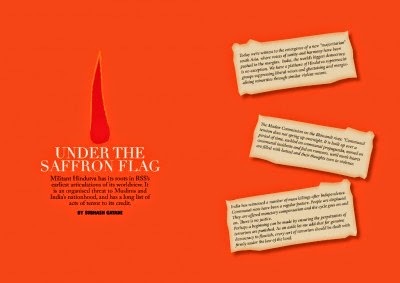 Militant Hindutva has its roots in RSS’s earliest articulations of its worldview. It is an organised threat to Muslims and India’s nationhood, and has a long list of acts of terror to its credit. Any exclusivist project claiming allegiance to a particular faith not only disregards opinions and ideas other than one’s own but is ready to go to any extent to prove it. Violence, the fact of violence, and, in extreme cases, terror then become an integral part of any such process. This part of south Asia which is a mosaic of different religions, nationalities, ethnicities and cultures and where the project of democratisation—underway since the exit of the colonialists—is still unfolding has of late evolved as a fertile ground for the proliferation of such formations. The memoirs of Rajeshwar Dayal, chief secretary of Uttar Pradesh at Partition, provides details of another kind. It gives damning evidence of Golwalkar’s plans for a pogrom of Muslims. Despite a clear case against Golwalkar, chief minister Gobind Ballabh Pant refused to order his arrest. Perhaps the experience of an RSS activist can also be an eye-opener. Krishna Gopal Rastogi, who was on two committees in the Human Resource Department during National Democratic Alliance (NDA)-I (1999-2004), in his autobiographyPracharak Jiwan describes an incident in which he personally led a mob of armed Hindus in Kaliar town, between Roorkee and Haridwar. He states without remorse how he did not spare even a young Muslim girl. Coming back to the Hindutva terror debate, investigating agencies suspect the involvement of Hindutva activists in as many as 16 explosions across the country. It may appear to be the handiwork of disgruntled, rogue elements from various Hindutva organisations who yearn to make India a Hindu rashtra. Nothing could be farther from the truth. Its activists had earlier planted a bomb at the Gadkari Rangayatan auditorium in Thane, Maharashtra, which exploded and injured seven persons (May 2008). Six of its activists who were also members of the Hindu Janajagriti Samiti (HJS) were arrested by the Maharashtra ATS then. The immediate provocation for the bomb was a Marathi play,Aamhi Paachpute, to be performed at the auditorium. The Sanatan Sanstha had denounced the play, saying it “denigrated” Hindu gods and goddesses, and demanded that it be stopped. Sanatan fanatics also planted another bomb at the Vishnudas Bhave Auditorium at Vashi, Navi Mumbai, but it was found and defused before it exploded. In January 2009, a 4,000-page chargesheet was filed by the ATS in the Malegaon bomb blasts case in the Maharashtra Control of Organised Crime Act (MCOCA) court. As written by this author in Economic and Political Weekly, it exposes the radical intentions of creating a separate Hindu nation, and extensive attempts to network with establishments in Nepal and Israel to create a separate Hindu rashtra.